Harajuku Stage - Master of Torque - Motorcycles | YAMAHA MOTOR CO., LTD. 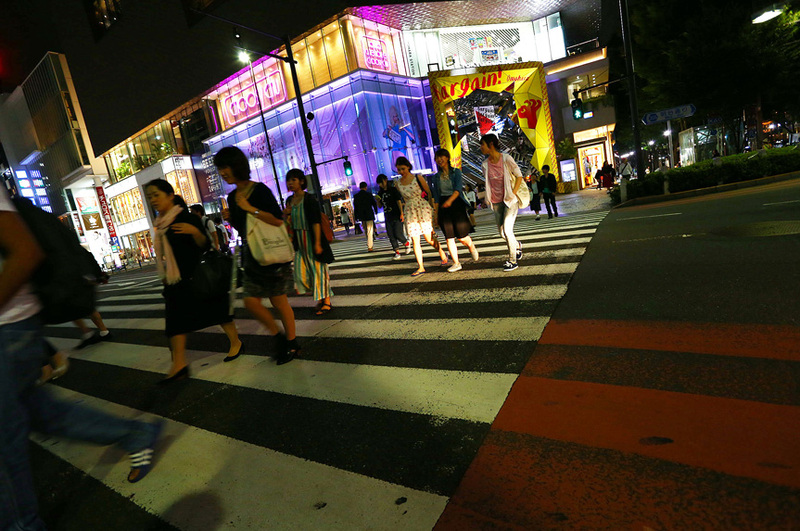 The inspiration people seek: The universal image that comes to mind when people hear “Harajuku” is “fashion,” regardless of age or gender or even whether you live in Japan or abroad. 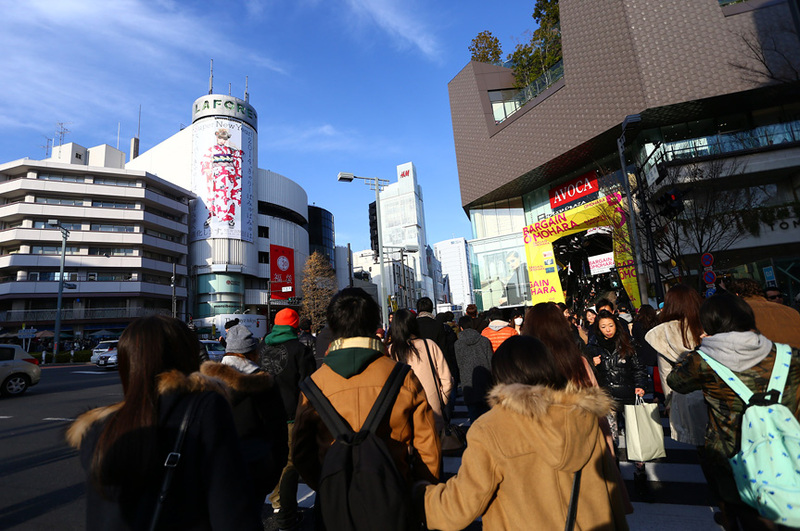 The biggest difference between Harajuku and nearby Omote-sando is that while they are both fashion centers, Harajuku’s focus is strictly on the younger generation. The energy or style, and pricing of items and services sold here have an everyday feel and vary depending on the individual. 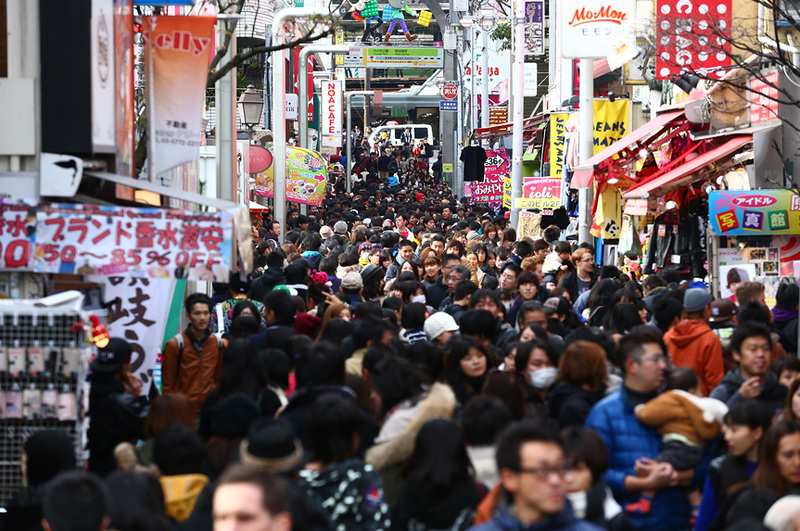 This is made even more apparent with the shopping area in Sugamo (about 10 km away) being known as Otoshiyori no Harajuku (“Harajuku for the Elderly”). There’s a lasting image of the amazing speed with which trends ignite, suddenly take over and then fade away just as fast on the streets of Harajuku. 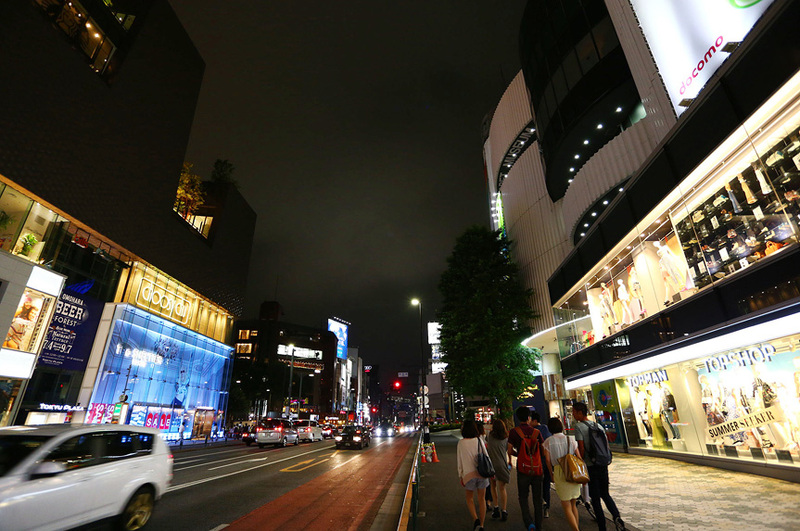 Read more Another difference between Omote-sando and Harajuku is the way people enjoy their time on the streets and in the shops. The young people that come here never hesitate to pick up an item in a shop that catches their interest and take their time considering whether to buy it or not. Many relax on the streets with take-out food from one of the numerous fast food restaurants and stalls. By the way, the take-out crepes that suddenly appeared and became popular in Japan in the 1970s have long been considered an inseparable part of the Harajuku experience. 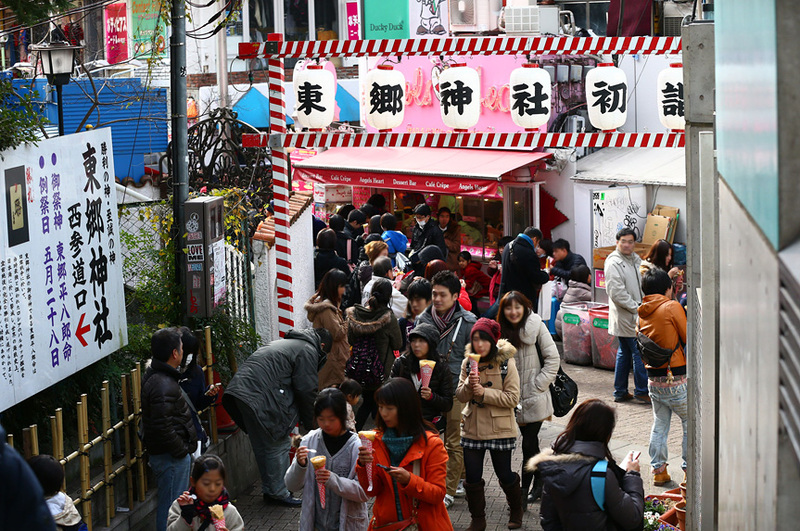 Today, stalls selling snack crepes wrapped in paper are a ubiquitous feature at fireworks displays and shrine festivals around the country, and very often the stalls’ banners will have “Harajuku” somewhere on them. 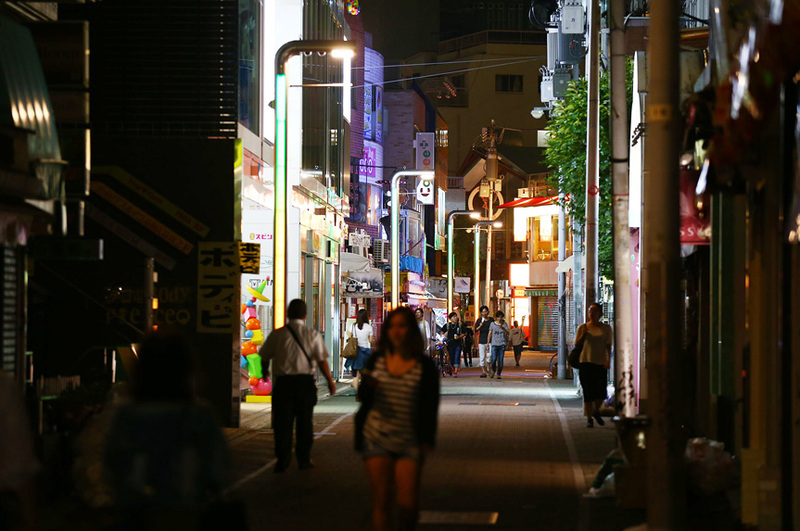 For people who have made Harajuku their “home base,” and those who consider it the birthplace of the latest and unconventional cultures, Harajuku as it is today requires one to choose words carefully, for better or worse. It’s not an exaggeration to say that Harajuku is a place of reminiscence for its patrons (while trying to not generalize their many hobbies, work fields and generations). 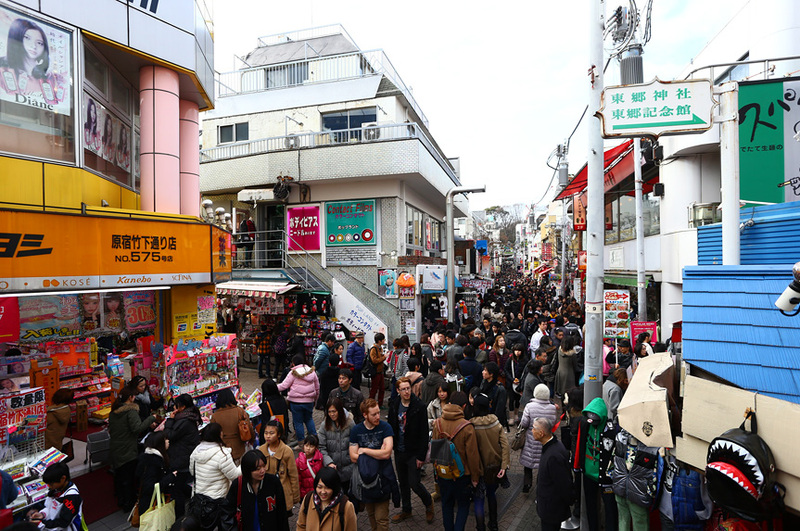 Because everybody perceives Harajuku’s “Golden Age” differently, for the swarms of people that visit it, Harajuku is a place that is both uplifting and melancholy in its nostalgia—something that passionate motorcycle riders know all too well. 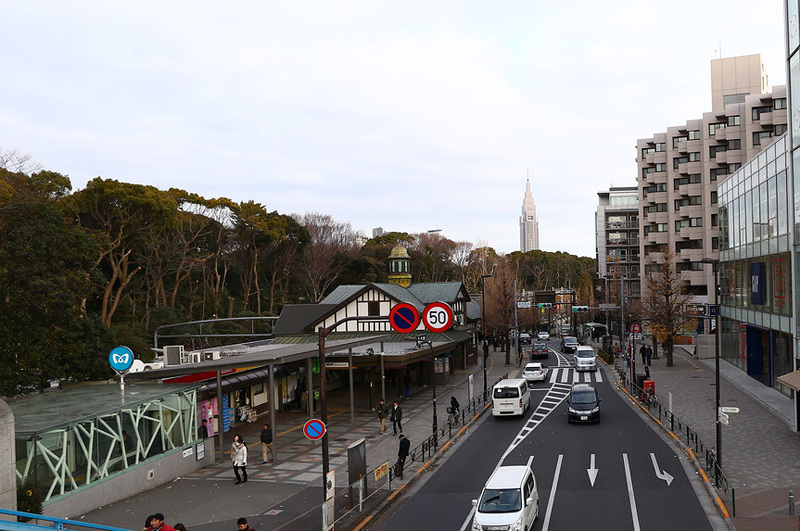 In short: Harajuku refers to the area stretching from Harajuku Station located next to Meiji Shrine to the neighborhood surrounding Meiji-dori. Strangely enough, while the station has “Harajuku” in its name, there’s no actual address that uses “Harajuku.” What people generally call Harajuku is Jingu-mae 1-chome (the official neighborhood block designation) and the area enclosed by the JR Yamanote Line, Omote-sando and Meiji-dori, with the iconic shopping area of Takeshita-dori in the center. 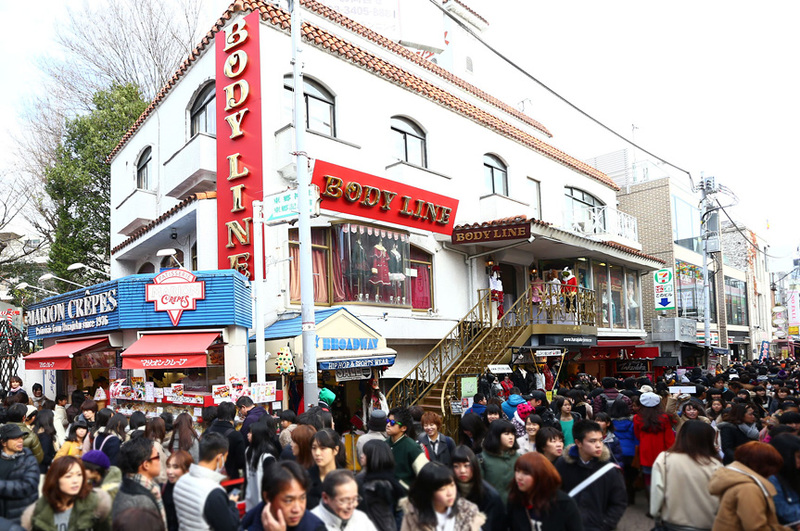 Read more Harajuku stands in stark contrast to Omote-sando, known for its luxury and well-established brand-name stores. Here, generally unknown or new apparel and accessory brands and the like catering mainly to younger people line the streets next to fast-food and beverage establishments. When Japan’s shuugaku ryoko (school field trip) season arrives, Harajuku becomes flush with all kinds of school uniforms and regional Japanese dialects. Some background: Today’s Harajuku and Omote-sando districts were once known as Harajuku-mura and Onden-mura centuries ago (mura meaning “village” in Japanese), but the origins of these names are unknown. 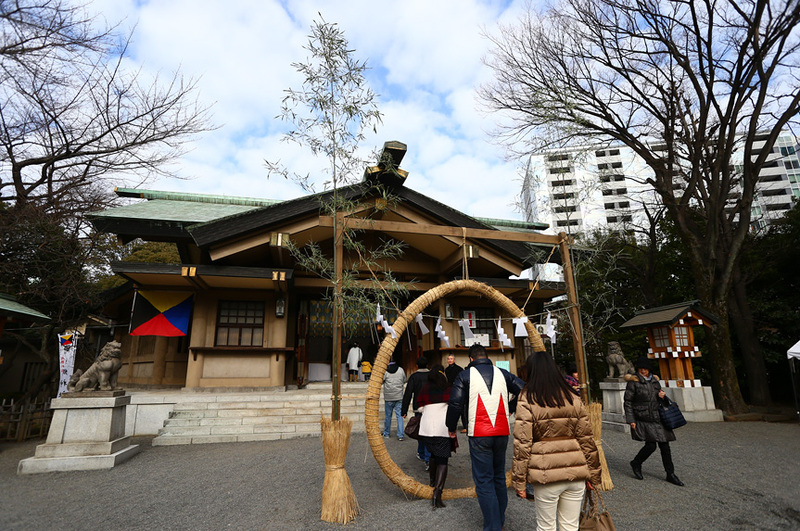 In the Edo Period, because these areas were on the outskirts of Edo (today’s Tokyo) like Shibuya was, people from Iga (famous for its ninjas) lived here and several samurai residences were built. 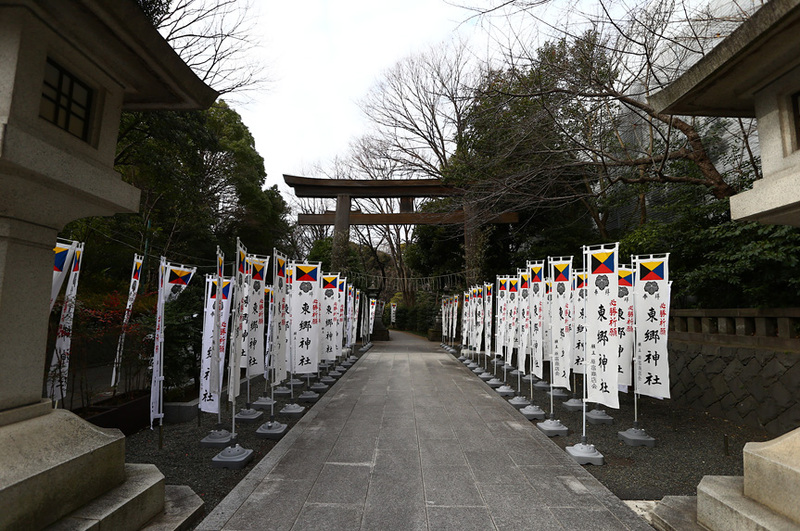 Onden is comprised of the Japanese characters for “peace” (nodoka) and “rice field” (den). Like its name, the village had a beautiful expanse of rice fields and was immortalized in famed ukiyo-e (Japanese woodblock print) artist Katsushika Hokusai’s “Watermill at Onden” print in his “Thirty-six Views of Mount Fuji” series. 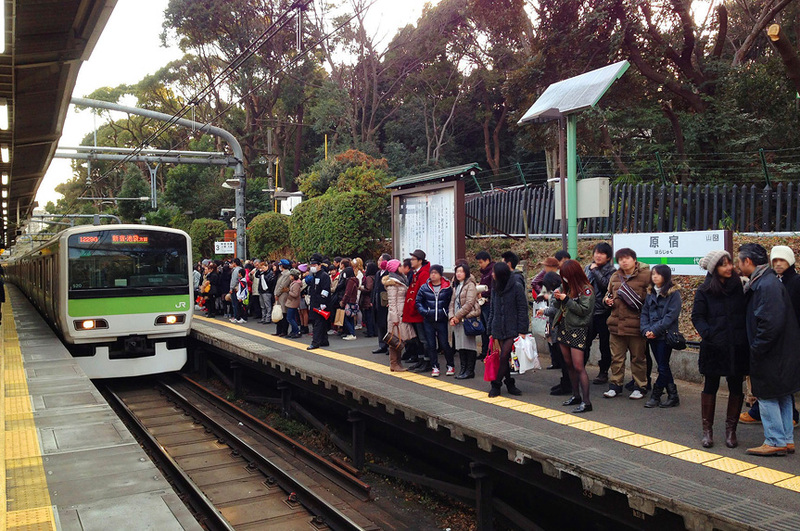 Read more Entering the Meiji Period, the land where Meiji Shrine stands today belonged to the Emperor and Harajuku Station on the Yamanote Line was built for use by the Imperial household only. In the Showa Period, Heihachiro Togo became world-famous as “Admiral Togo”—even making the front cover of TIME magazine—and was enshrined at the Togo Shrine located in Harajuku. Still, the area was a quiet one with houses and rice paddies dotting the landscape. However, the end of World War II also signaled the end of this tranquility. Together with Omote-sando, Harajuku became a place where new ideas and items were born, thus drawing more and more people to its streets. In the 1960s, the appearance of the Harajuku-zoku (literally “Harajuku Tribe”) was what solidified the image of Harajuku as the place for young people’s fashion, and this became common knowledge throughout Japan at the end of the 1970s with Takenoko-zoku (street dancers in brightly colored outfits) and Annon-zoku (a new generation of young women inspired to choose and love traveling alone by fashion magazines). It was around this time that multiple “fashion meccas” crowded Harajuku, and one of these, La Foret Harajuku, was opened in 1978.